A few caveats to this list. Since, according to Reader rules, I can include only movies that received their Chicago premieres in 2017, I'm unable to list two of my favorite films to have received local runs this year. Terence Davies's A Quiet Passion and Alain Guiraudie's Staying Vertical both premiered here at the 2016 Chicago International Film Festival, which makes them ineligible for inclusion here. I didn't see either one until this spring, however, and both made a substantial impact on my moviegoing year. A Quiet Passion strikes me, after repeat viewings, as a masterpiece, one of Davies's best films. 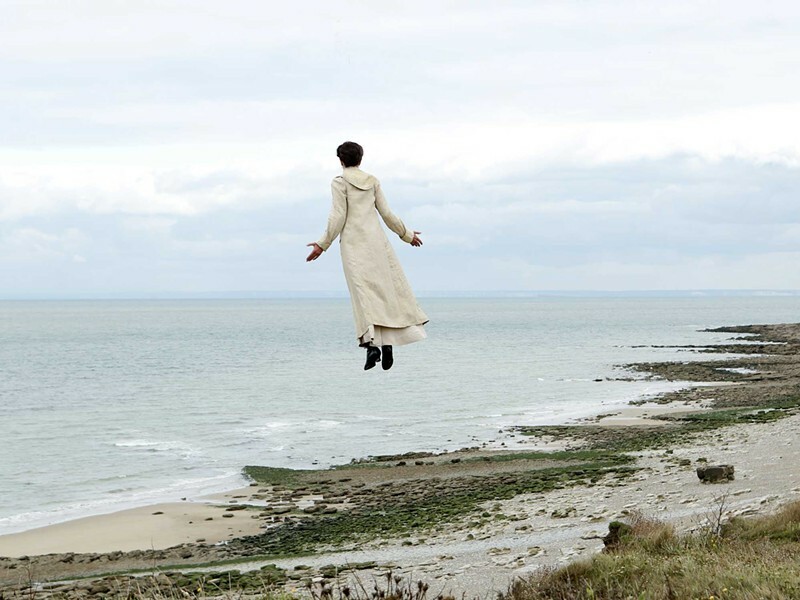 More than a biopic of Emily Dickinson, Passion considers the misogyny of 19th-century American life through the perspective of a woman who managed, in certain ways, to rise above it. The movie is also a beautiful representation of the art of poetry, with Davies's graceful style providing a visual analogue to Dickinson's verse. As for Staying Vertical, it took me a while to grasp what Guiraudie was up to with this surrealist comedy. I now see the film as an enduring meditation on the slippery nature of identity and sexual desire, and I value Guiraudie's deadpan approach to providing so few clues as to how to interpret it. Along with João Pedro Rodrigues's The Ornithologist (which covered similar thematic ground), Staying Vertical was the most interesting cinematic mystery I encountered all year. Guiraudie gives the audience a lot to chew on, yet the movie never feels heavy—it proceeds with the uncanny smoothness of a dream. The most lauded film of 2016 didn't open in Chicago until January of this year, and it stood heads above everything else I saw in 2017. Maren Ade's epic comedy considers the dehumanizing effects of late capitalism and one man's efforts to combat them. The title character—the alter ego of a prankster music teacher—comes to represent everything late capitalism rejects: he's humane, funny, socially maladroit, and wants to make a personal connection with everyone he meets. Yet Toni Erdmann never feels schematic. Ade creates two of the richest characters I've ever encountered in a movie; the prankster and his grown daughter reveal new traits in almost every scene, and Ade gives them room to reveal themselves and grow as individuals. 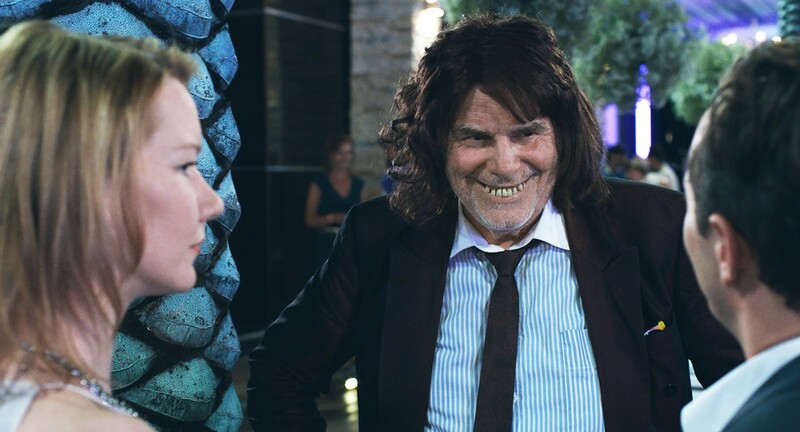 Toni Erdmann is also an astonishing formal achievement—for the first hour, Ade carefully establishes a realist framework, then she spends the rest of the film dismantling it. This artful thriller by Bertrand Bonello captured the zeitgeist like no other movie I saw this year. It depicts a society bent on self-destruction, showing a group of young people staging a series of terrorist attacks on Paris. The group has no discernible political agenda—they simply want to destroy. Yet Bonello inspires fascination with their actions, employing a seductive style that commands one's attention. The film references a diverse set of cinematic influences ranging from Dawn of the Dead to Robert Bresson's The Devil, Probably, but those points of reference are contemporary and urgent. After Toni Erdmann, Joseph Cedar's contemporary fable featured the best acting I saw in movies all year. Richard Gere, playing the title character, delivers one of his finest performances—the aspiring wheeler-dealer Norman is at once lovable and annoying, a shameless self-promoter who sincerely likes working with other people. The rest of the cast—which includes Charlotte Gainsbourg, Steve Buscemi, and Lior Ashkenazi—is no less impressive. Norman is laugh-out-loud funny on first inspection, then becomes poignantly sad when you think about it. It's also one of the most perceptive films I've seen about the Jewish-American experience. 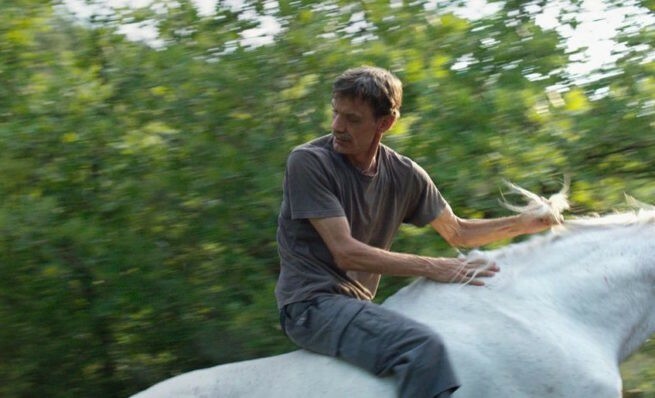 This year Chicago programmers finally started to embrace the work of Polish-born director Andrzej Żuławski, a master filmmaker who passed away in early 2016. Doc Films screened three of his features (The Third Part of the Night, The Devil, and On the Silver Globe) as part of a Polish cinema series, and the Gene Siskel Film Center presented the local premiere of this 1975 French production, which is one of his greatest achievements. A delirious melodrama about the transformative power of love, L'Important C'Est D'Aimer hinges on a trio of soul-baring performances by Romy Schneider, Jacques Dutronc, and Fabio Testi. 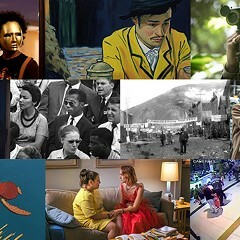 Lewis Klahr's experimental animation first screened in 2015, but it didn't receive its local premiere until this spring, when Klahr introduced it at the Film Studies Center. A haunting, beautiful work about memory, both cultural and personal, Sixty Six finds the ingenious filmmaker at his most inspired. Klahr draws on Roman mythology, pop music, comic strips, and autobiography, resulting in a dense experience that renders the past more open and mysterious than the present. Daniel Warth's endlessly surprising Canadian comedy was the most impressive debut feature I've seen in a while. It centers on two female friends—one an aspiring writer, the other an aspiring actress—who make ends meet by staging instructional demonstrations for corporate offices. At first Warth and cowriter Miles Barstead play their demonstrations for comedy, as the women stage and perform the pieces with an intensity they'd normally bring to professional theater, and their outsize ambition scores quite a few laughs. 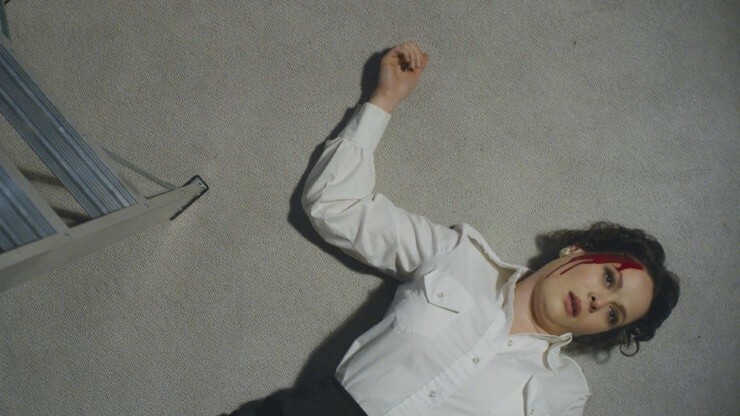 Yet as Dim the Fluorescents goes on, both characters reveal idiosyncrasies and personal pain that transforms the movie into a profound character study. Warth displays a joyous love of filmmaking throughout, employing flashbacks, split screens, and complicated tracking shots that recall the work of Brian De Palma. This played once at the Chicago Underground Film Festival and then again at the ArcLight—it deserves a proper run here. While Ai Weiwei's Human Flow received more attention, this documentary (directed by Zaradasht Ahmed) provided a more specific view of the refugee experience. Assembled from footage shot by Nori Sharif, a nurse based in central Iraq, the movie follows Sharif over five years as his country descends into sectarian violence. This is at once a powerful document of postoccupation Iraq and an aching study of one family trying to survive amid chaos. Frederick Wiseman delivered his best documentary since At Berkeley (2013) with this epic portrait of New York's library system. Like Berkeley, Ex Libris is a celebration of learning and a wise consideration of how knowledge is imparted in contemporary life. It also contains probing discussions about American race relations, both past and present, making it one of Wiseman's most topical works. Oliver Laxe's second feature, which played this summer at Facets, was the most beautiful-looking movie I saw all year, featuring towering images of the Moroccan desert and mountains. (As I wrote in June, it really should have played on an IMAX screen.) Despite taking place in Africa and dealing with Muslim characters, Mimosas is closer in spirit to classic American westerns than any recent American film I've seen. It also features one of the year's most lovable characters, the holy fool Shakib (Shakib Ben Omar). Over his last three narrative features (To the Wonder, Knight of Cups, and now this), Terrence Malick has basically transformed into an experimental filmmaker, championing small, radiant moments over character or plot. I consider Song to Song the best of these three movies—there's a precision to the emotional content that the other two lack, and it contains a sharper sense of place than anything Malick has made since The New World. 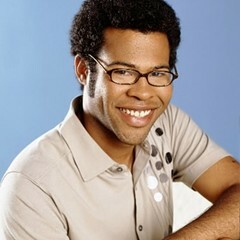 "What does this all add up to?" I wrote in March. "A celebration of the abundance of existence and a representation of the fleetingness of human lives within it." 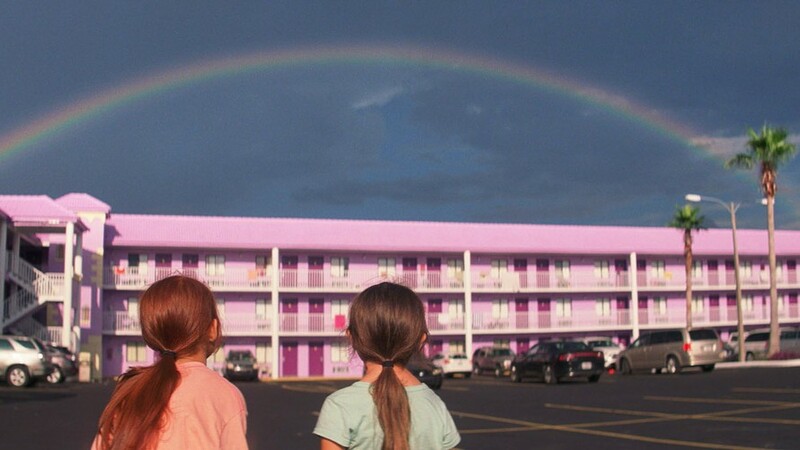 The best film to date from writer-director Sean Baker (Tangerine, Starlet) is an imaginative and sympathetic view of working-poor life in Orlando, Florida. The young children in the cast are magnificent, and Baker encourages a sense of wonder from his careful manipulation of cinematic time. Another best film to date, this one from Chicago-based writer-director Stephen Cone, displays a novelistic sense of character and aging, not to mention a hard-won sense of optimism. The movie concludes with two characters telling each other "I love you," and it's a moment of quiet triumph—a victory of compassion over isolation. Another moving portrait about the plight of refugees, Aki Kaurismäki's crowd-pleasing feature masterfully blends humor, pathos, and anger in the service of an important social message. This was the best thing I saw at this year's Chicago International Film Festival—it comes back to town for a run at the Music Box starting on January 5. As I wrote the other day, Azazel Jacobs's comic quasi-fantasy achieved an emotional complexity reached by few other films in 2017. The movie's dreamy romanticism and generous comedy reminded me of Alan Rudolph's work (Trouble in Mind, Choose Me, Love at Large), which is high praise. I'm still getting a handle on this baffling Portuguese feature, which extols the mysteries of nature and human sexuality. João Pedro Rodrigues is a master at setting a seductive tone, employing gorgeous natural imagery and a suggestive soundtrack, but he also breaks that tone to provocative ends, employing weird humor and mythological references when you least expect. James Gray, one of America's most valuable working directors, expanded his range with this historical drama but maintained his incisive sense of class relations and the costs of personal pride. I had the good fortune to see this on 35-millimeter, which rendered Darius Khondji's cinematography especially magnificent. It’s been interesting to watch Bruno Dumont transform from one of the most serious directors in European art cinema to one of the silliest. Many critics prefer his 2014 TV miniseries Li'l Quinquin to this equally daffy feature, but I still found plenty to cherish here, including the Monty Python-style humor, the deliciously outsize performances, and the towering wide-screen imagery. Is this the most genial movie ever made about cannibalism? As a fan of train travel, I adored this documentary about Amtrak's Empire Builder line for its affectionate portrait of the railway experience. I also appreciated its warm human studies and its sense of how class shapes personal experience in America. 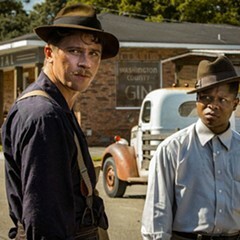 An impressive step forward for writer-director Dee Rees, this period drama had a lot to say about American race relations, agricultural history, and the plight of working women in postwar America. I missed this when it played at the Chicago International Film Festival, but I was glad to catch up with it on Netflix. One of Pedro Almodovar's subtlest movies, this adaptation of three short stories by Alice Munro reveals how nuanced a director of melodrama the Spanish filmmaker has become. Julieta articulates feelings of longing and regret, but it goes down like honey, thanks to graceful performances and characteristically colorful mise-en-scene. Another delight from the prolific South Korean filmmaker Hong Sang-soo, this witty and wise character study follows a beleaguered movie actress as she tries (unsuccessfully) to restart her life after a disastrous affair with a married director. Hong's style is typically rigorous, with precise framing and pared-down imagery, but his storytelling (featuring dream sequences and unexpected flash-forwards) is as playful as ever. Valeska Grisebach's understated comedy about German construction workers in Bulgaria was another highlight of this year's Chicago International Film Festival. Perceptive in its view of aging masculinity and cross-cultural dialogue, Western also has some important things to say about the state of the contemporary working world. François Ozon's gorgeous black-and-white drama is one of the writer-director's most accomplished films. I agree with Andrea Gronvall that it's a rare remake that improves upon its source material (see Ernst Lubitsch's Broken Lullaby). Another black-and-white romance, this Uruguayan comedy was the best film I saw at this year's Chicago Latino Film Festival. Literate and observant, The Moderns (written and directed by Marcela Matta and Mauro Sarser) is a dense romantic roundelay about the challenges of balancing the pressures of work and life in contemporary urban society. This probably won't return to Chicago, so try to track it down on DVD. 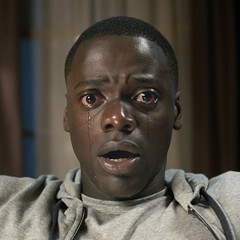 The conversation starter of the year and a superb horror movie to boot, Jordan Peele's debut feature as writer-director is the rare entertainment that gives you plenty to think about. Andrzej Zulawski, director of the cult psychodrama Possession, debuted with this savage tale of World War II.